My name is Nancy and I run a travel blog, The Postcard Search, with my partner Neesha. Our travel blog highlights our travel experiences as a queer couple of color. In January, I was lucky enough to visit my best friend in Shanghai. 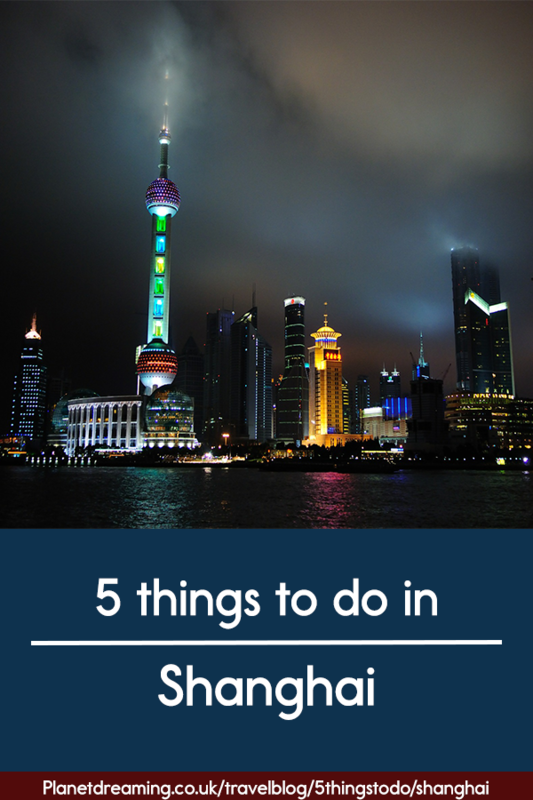 If you’re interested in learning about what to do in Shanghai, read on to learn more about five things to in Shanghai! A family friend suggested going on a tour with Unfood Food Tours and I’m SO glad I listened! Along with the tour guide and five other individuals from around the world, I visited five different local restaurants. I learned about different types of foods and drinks Shanghai has to offer. I even tried crickets for the first time! I learned so much about Shanghainese and Chinese culture while on this tour. Jing’an Temple is one of Shanghai’s most famous temple. It’s centrally located on West Nanjing Road, easily accessible by train, bus, or walking. When you enter the temple though, you’ll forget you’re smack in the middle of the city. I’m not a big fan of art, but truly enjoyed the statues, paintings and calligraphy! After visiting the Yuyuan Garden, meander around the bazaar to find some cute gifts to give back to your loved homes at home! There’s so many little stores where you can find different items such as scarfs, clothes, statutes, and other typical tourist gifts. Remember to haggle! Sellers are used to haggling and will purposely give you a very high price to begin with. If you’re in Shanghai during the warmer months, and enjoy eating great food and dancing, Found 158 is for you! It was once a seedy, underground maze bar located in the middle of a park but has transformed into a cool spot for tourists to eat and dance! I highly suggest eating at Lost Heaven! It can be difficult to find an authentic Chinese restaurant with English speaking service, but Lost Heaven both is accessible for English speakers and has amazing food. Lost Heaven is similar to a tapas bar, where you order a bunch of small plates for the table. Huge thanks to thepostcardsearch.com for writing this great post.